I have been working up to this perfume for some time. Tuberose – a note previously shunned has made itself a comfortable spot in my heart by now, by way of several beautiful perfumes, like Mona di Orio Tubéreuse, Aftelier Cepes&Tuberose and By Kilian Beyond Love. 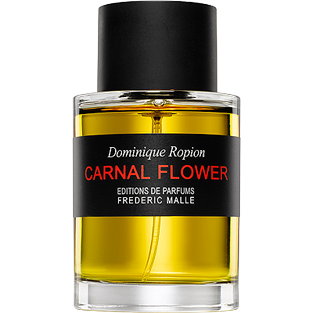 But in my mind the one tuberose to beat them all (that does not include Serge Lutens Tubéreuse Criminelle, which is just not on my wishlist and probably won’t be any time soon), was Carnal Flower by Dominic Ropion for Frederic Malle. Reportedly including the highest dosage of tuberose ever included in a perfume, it has always made me curious, but also not a little afraid to try it. Released in 2006, notes of Carnal Flower include bergamot, melon, camphor, tuberose, ylang-ylang, jasmine, orange blossom, coconut and white musk. I had a very wrong impression of Carnal Flower. There was no need to be afraid, it is a very wearable, elegant, beautiful and almost understated floral. It evokes feelings of well being and contentment in me. Tuberose has this knack of seeming like internal sunshine to me. As soon as I wear Carnal Flower it is as if a lamp has been switched on inside. The opening is strong and sillage above average, but Carnal Flower calms considerably after the first half hour and then starts to be really enjoyable for me. Longevity is excellent. This entry was posted in Floral, Fragrance Reviews, Frederic Malle, Tuberose and tagged Carnal Flower, Dominic Ropion, Editions de Parfums Frederic Malle, floral, Fragrance, Frederic Malle, Perfume, Review, Tuberose. Bookmark the permalink. SL Tubereuse Criminelle and Carnal Flower are my go to tuberose perfumes! I need to give MdO’s Tubereuse more testing time. Now I just to find the actual bulbs so that I can have the scent in the summer on the balcony! Carnal Flower is such a gorgeous perfume. I hope you find those bulbs. Maybe try to look online? Garden shops here don’t even know the name, I’m sure! Nevertheless, I’m being persistent: I keep revisiting Carnal Flower once every several months hoping I’d change my mind. Hehe. I like to be convincing. 😉 But persistence pays off, I’ve often been astounded at how much my taste, perception, or whatever you want to call it, changes or maybe develops. Ahh, Carnal Flower is awesome! I agree that it’s not really that carnal at all, I’d describe it as ‘lush’. 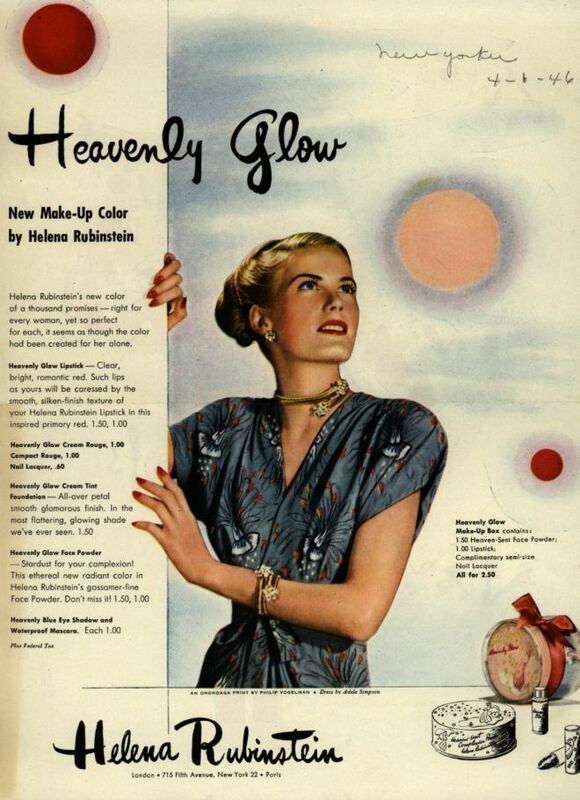 I’m glad that you like this one, it really does make you feel that you have a glow, like you say, when you’re wearing it. I have wanted to try carnal flower for a long time but when I had the chance of complimentary samples from Les Senteurs (I had to make a purchase to get complimentary samples I hasten to add in case anyone thinks they have started giving out free samples willy nilly) Carnal flower was out of stock. It is still on my to smell list though, maybe I will have to bite the bullet and order MdO Vanille and get another complimentary sample, extreme??? Not at all me thinks. I so admire the way your tastes develop, B. I’m sure this is largely due to you never dismissing a fragrance out of hand and continually revisiting (unlike me). I didn’t try Carnal Flower for a long time because I was intimidated somewhat too. It sounded so “womanly”, so very full-on. I have still only tried it once so I have a long way to go, but you make it sound worth the effort. It is not half as dangerous as it sounds, Tara! But I totally understand, I had the same qualms. I have to be in the right mood for this one, as it is relatively speaking, a heavy hitter. I have more problems with Beyond Love, but both perfumes can be a little headache inducing, maybe on account of the coconut? But I absolutely agree that this is not a rich accent in the way Joy or Fracas is. It is watery and fresh, like being in the hothouse of a tropical gardens. There again, humidity has been known to trigger headaches, haha. I will find my sample and give this another go! I am very prone to headaches from perfume as well, but thankfully Carnal Flower has not triggered a headache once. The worst offender for me is Amouage Gold Woman, one whiff and I need pain medication. Dear Birgit, I can recommend a few South African fynbos bulbs for the “Carnal Flower on the balcony experience” 😉 Your blog inspired me to write about these flowers (http://drifttherapy.wordpress.com) and to get a sample of the perfume! Great to hear that, Madine. Thank you! I couldn’t seem to make MdO’s work for me but I ADORE Carnal Flower. ADORE IT!!!! Birgit, I had fallen in love with Carnal Flower and bought refills in EFM’s store. But, difficult to say it’s a summer perfume, it makes me think about tropical gardens like said before so well, it needs sun, trees……. it’s a very classy tuberose whereas Songes by AG for example, I like too, is creamy and quite screaming, I’m here, I smell beach, coconuts and sun. It is summery, but that is why I love it on cold days as well, it brings a little rosy, summery glow into my grey days. I’m not sure who is typing this, because I think I see Suzanne Keller in a dead faint on the floor below me. She does have a rather beatific smile on her face, however. Oh, I hope poor Suzanne didn’t hurt her head when falling! I had same fears as you in the beginning, but found out it is just nicely wearable. I think it was first “serious” tuberose I tried but I had no problems wearing it. In the meantime my love for tuberose has grown and I like the same perfumes as you. I wonder why so many people are afraid of this perfume? Maybe the fear of overdosing from tuberose ;-). Tuberose and rose are constantly battling it out for my favorite floral note. By the way, I’ve heard this perfume is named after Candice Bergen’s character in the film Carnal Knowledge — she is not really a sexbomb, but rather a frosty intellectual. Which is very fitting I think! Thank you for the info, Elisa! That makes sense to me. thank you for your kind comment! Carnal Flower is a true beauty. Very cool, Brigit, so very cool! Yay, Dee is reading! 😉 thanks, Dee, this was definitely my first one! Let me know how you like CF, should you try it! I woukd love to read your take on it. Well ,Carnal Flower is a good match for you. You are both a true beauty with a strong, persitant, lovely, heart. Never forget, that like the perfume, you both bring us some form of happiness with each encounter. Maybe Malle had someone like you in mind when they were creating this glorious perfume. Wow, dremybluz, I don’t know what to say… this is such a lovely comment! I’ll treasure it forever. Oh man, I have an unsniffed sample of this! Need to review my New Year’s Resolutions, STAT! Funny that we have both learned to love tuberose scents. 🙂 A couple of months ago the only tuberose I could wear was nuit de tubereuse. By now I appreciate Beyond Love and own the Carnal Flower refill set. It is such a lush an beautiful fragrance and astoundingly easy to wear. As you keep recommending Tubereuse by Mona di Orio, I have decided to order a sample of this one today. Very curious about it! Yes, I seem to keep recommending MdO Tubereuse, it really impressed me. 🙂 It is a very unusual take on tuberose. I hope you like it! So good to hear, I’m not alone in my journey towards appreciating the note. I love Carnal Flower. It really is the closest smell to real tuberoses. Closer than raw tuberose absolute, which is saying something. Strangely, I wear it fairly seldom compared to my other florals. It needs a specific mood; a quiet mood untroubled by too much introspection. It’s a spa-scent, if that makes any sense! And yes, it’s not very carnal. Carnal Flower is a great name, but this isn’t it. Rather virginal, in fact ( something like Olene or Poison is a carnal flower, in my eyes ). Perhaps Nubile Flower would have worked better? I’m glad I’m not alone in my assessment of the lack of carnality in CF. And it is the same for me, it’s not an everyday scent. I like Carnal Flower too. Although on me it does smell big and carnal, at least at first. I think it gets colder in the drydown. Glad to hear you’re not a fan of Tubereuse Criminelle. I can appreciate that it’s a creative, very different perfume, but I don’t like it either. We are in the minority here I think. I purchased a sample of Carnal Flower and I sprayed some on me today. It was as if I were carrying a light and luminous bouquet of tuberoses on my hands. And, here, in Romania, it’s tuberose’s time, you can see it all around in town. It has a good staying power, I still feel it on me. A very feminine fragrance! I’m glad you are enjoying Carnal Flower. I was wearing it just yesterday, it’s a true beauty. I’m always happy when people previously afraid of tuberose start to enjoy or love it. It’s my absolute favorite flower, in real life and outside the parameters of perfume. I really liked Carnal Flower too (though I will always prefer Fracas). I enjoyed CF’s eucalyptus notes at the beginning quite a bit. But I don’t get the richness and almost pure tuberose that so many others so. I get that more from Fracas. Once again, I fear I’m a bit odd, perfume wise. LOL. Your post made me think I need to put some more on, right now. Glad you enjoy Carnal Flower, Scented Life. Will read your review now.